Bethel Baptist Church is located across from the Schaumburg Golf course on Roselle Road. If you visit on a Sunday morning or Wednesday evening in our Deaf Chapel, I suggest that you park in the South lot on Bethel Lane. 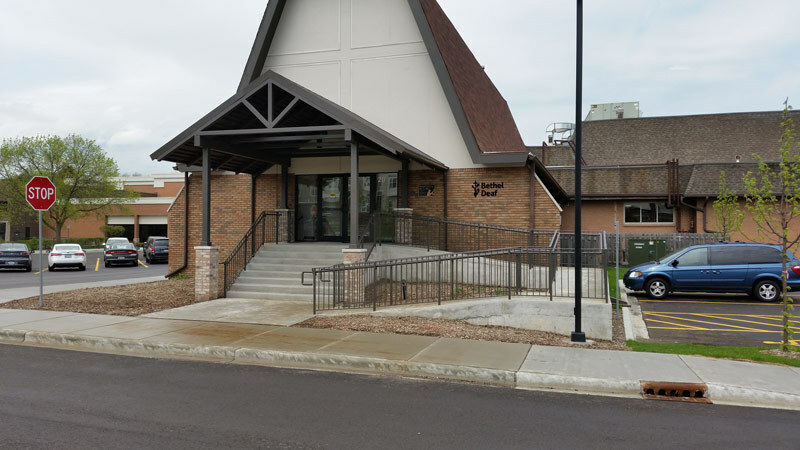 Look for the Bethel Deaf logo on the newly remodeled entrance (door #20) that is now handicap accessible. If you visit us on a Sunday evening in our auditorium with our full Bethel family (interpreted in ASL), I suggest that you park in the north or east lots and enter door #3 or 4 or 5.